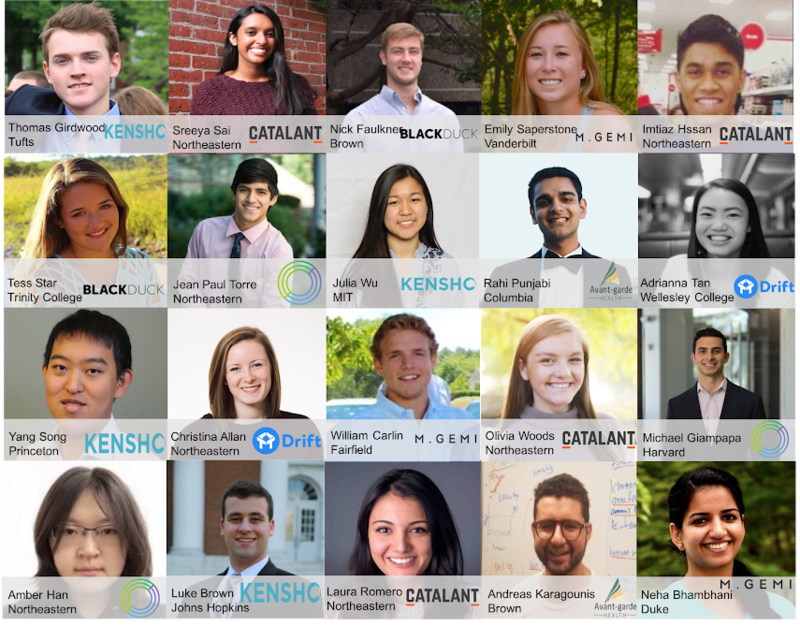 Rough Draft Ventures, General Catalyst’s student-focused program that backs founders at the university level, supports and connects the largest network of student entrepreneurs. Over the past four years, we’ve noticed that the technical students we work with across the university ecosystem are interested not only in starting companies, but also in joining engineering teams at fast growing startups. To that end, last year, we launched our summer internship program, The RDV Academy, which connects the most talented, technical students with high-growth startups in Boston. We invited sophomores and juniors to apply to join a fully immersive three-month paid summer internship experience, where each student spends the summer working directly with a top-tier engineering team at a fast growing company. Scholars also are invited to join their fellow Scholars at weekly talks where they hear from notable startup executives from across the tech community. Throughout the summer, Scholars of The RDV Academy gain a deeper understanding of how to grow and scale as a part of an engineering team and experience each company’s culture first hand. Past Scholars have gone on to launch new ventures and receive full-time offers from participating companies. If you’re a student interested in joining The RDV Academy next year, sign up for our newsletter to stay updated on our application process, which will begin this fall.